How will you react when you come to know that your personal details and even your bank details is been on sale? Online security is getting one of the major concerns of today's date. 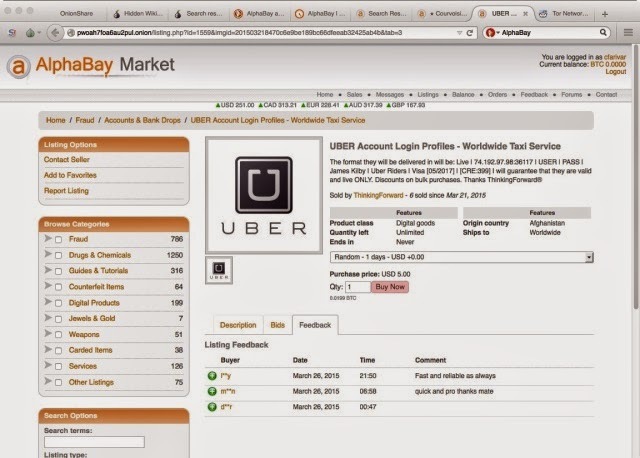 ArsTechnica has discovered that two vendors on a marketplace in the underground are offering active Uber credential and also in very cheap rate. ArsTechnica have verified that "Courvoisier" is claiming to sell these logins for $1 each on the AlphaBay Market, and another vendor, "ThinkingForward," sells the same items for $5 each. 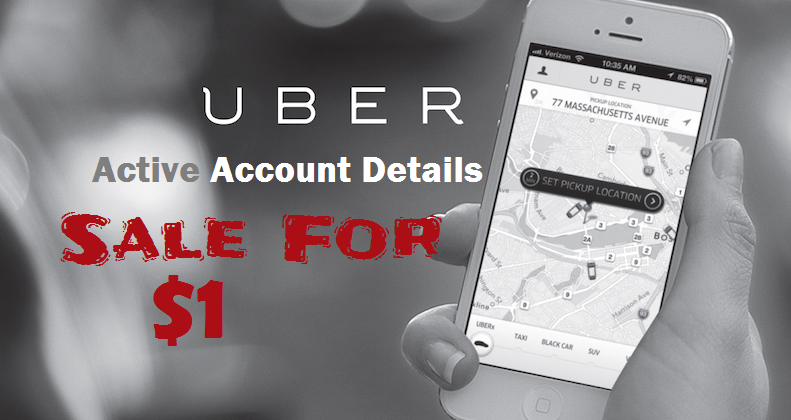 "The credentials provided will be a valid login for the Uber website for which you can use to order phones from completely free. The guide is also available on the site" - Wrote Courvoisier . One of the seller had communicated with Motherboard, and claims to have "thousands" for sale, and even provided a sample of them. On the post Motherboard reports that it tried to reach one of the users whose email address and password was put up for sale. And respective person had confirmed that the login details were correct. Motherboard reached, James Allan, sales director for OISG, a technology solutions company, whose emails and deails were on sale. Allan confirmed that the username and password Motherboard had seen were correct, as well as the expiry date on his personal credit card. He doesn’t actually use Uber anymore, and the last trip he booked was in December 2013. "Bloody hell," Allan said over the phone, when he was told what his password was. He was "extremely surprised" by the revelation, he said. Allan also said that he doesn’t use the internet much for financial transactions, preferring cash "for this very reason." ArsTechnica had reported the issue to Uber, but Uber spokesperson Trina Smith said that the company did not find evidence of a breach. Earlier in February Uber announced a data breach that resulted in unauthorized access to the driver partner license numbers of roughly 50,000 of its drivers. May the login credentials were also stolen on this breached. But at this time it is unclear that where the data came from and how many users were impacted.